The best way to find a condo in Myrtle Beach or North Myrtle Beach is to call us. Tell us what you're looking for and let us ask you some basic questions. There are thousands of condos stretched over 60 miles of coastline and even more on the golf courses and Intracoastal Waterway. 1. What do you plan to do with the condo? Are you looking for rental income? 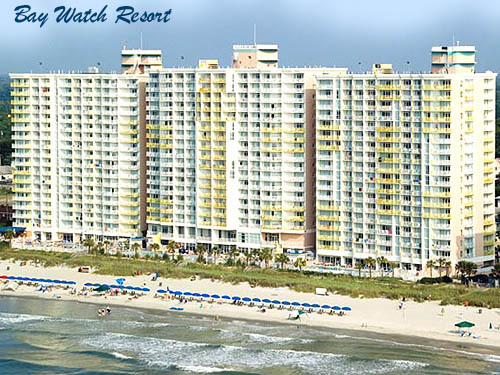 Look for oceanfront condos in North Myrtle Beach or on the north end of Myrtle Beach. Kingston Plantation, Baywatch Resort, Bay View Resort, Prince Resort, Sands Ocean Club, Anderson Ocean Club, the Caribbean Resort, Avista Resort... these are some of the most popular with vacationers. 2. Are you looking for a permanent residence? Try a Myrtle Beach golf course condo such as the many beautiful and affordable townhomes at Barefoot Resort. Condos for sale in Barefoot Resort usually have a garage, a private pool, and a free shuttle to the beach when you want to go. Condos to choose in Myrtle Beach include Colony Square, Myrtlewood Villas, and Carolina Forest condos. The condos in Kingston Plantation, Ocean Creek Resort, and Coquina Harbour in Little River are perfect for year round beach living. 3. Want to live in a Waterway condo with boat access? Try the Yacht Club Villas condos in Barefoot Resort, a condo at the Marina Inn in Grande Dunes, or Lightkeepers Village in Little River. Or just contact us. Tell us your price range, the amenities you want, and any other criteria you feel necessary. We can give you the names of the condos in Myrtle Beach that best fits what you want, and save you time! You can choose whether to search the MLS for Myrtle Beach condos yourself or let us do it for you.